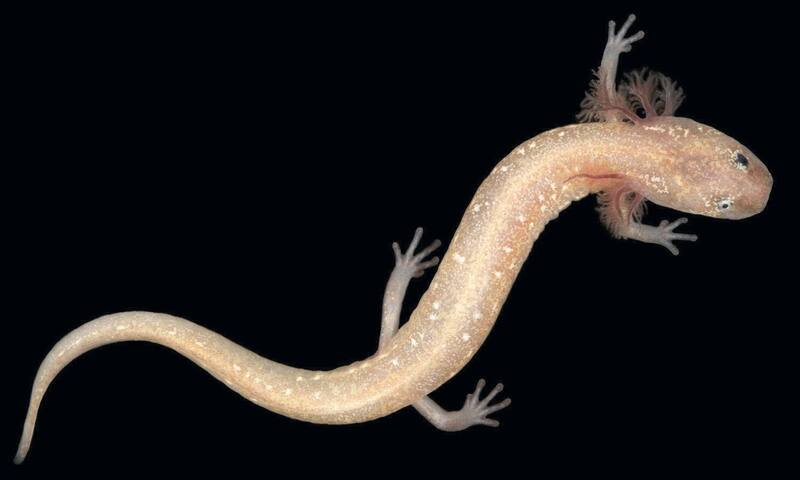 In January, biologists at the University of Texas at Austin announced the discovery of three new species of groundwater salamanders in Central Texas in a project funded by the U.S. Fish and Wildlife Service through a contract with TPWD. David Hillis, professor of integrative biology and senior author of the new paper, and his colleagues have worked on preserving several threatened or endangered salamanders, leading to protections for the Barton Springs salamander, the Austin blind salamander, the San Marcos salamander and the Georgetown salamander. First author Tom Devitt, an environmental scientist with the City of Austin, helped to identify the three new species previously unknown to science. One of the newly identified species, yet to be named, is critically endangered: a tiny, golden-colored salamander that lives only in a small area near the Pedernales River west of Austin. The scientists also discovered that the Georgetown salamander, already protected as a threatened species, has a much smaller range than previously thought and, thus, is far more endangered.